When Freddie Mercury wasn’t strutting and singing for hundreds of thousands of fans in sold-out arenas, he was making his mustachioed way through Montreux, a Swiss resort town known for its annual jazz festival. There, the band made music magic at Mountain Studios from 1978, when Queen bought the studio, to 1991. At first, the band was drawn to the scenic town for its musical legacy—its views of Lake Geneva and relaxed atmosphere drew world-famous musicians long before the famous festival got started in the 1960s. But it soon became a haven from the press and curiosity that plagued Mercury, and the band decided to stay. Over the years, Mountain Studios turned from an artistic retreat into a musical legend in its own right. One of Queen's great collaborations, “Under Pressure,” was written there with David Bowie in the space of just a few hours. Bowie was in Montreux for a visit with Mercury and the band, but a simple jam session soon turned into music history. The two songwriting powerhouses jammed for a bit, then wrote their own separate melodies and lyrics, massaged the two parts together, and created a chart-topping song. Mercury also recorded the final song of his career—“Mother Love”—at Mountain Studios as he was dying. Cole Moreton, reporting for The Telegraph, explains that the poignant lyrics (“I can’t take it if you see me cry, I long for peace before I die”) were Mercury's way of expressing his need for protection and care during his final months. The studio's legacy didn't stop there—after Mercury’s death, the band’s producer David Richards bought the property and worked with other major acts there, including artists like Michael Jackson and Duran Duran. Mountain Studios has since moved from its original location at the Casino Barrière de Montreux, but thanks to the Mercury Phoenix Trust, the old spot is now a Queen-based museum experience. It’s one that celebrates the life and legacy of Farrokh Bulsara, better known by his stage name, Freddie Mercury. Mercury was more than the flamboyant lead singer of Queen: The prolific artist was also a songwriter, record producer and recording studio owner. By the time he died in 1991 from AIDS-related bronchial pneumonia, he had released 15 Queen albums, two solo albums and more than ten singles. Today, 25 years after Mercury’s death at age 45, the Mercury Phoenix Trust focuses on HIV and AIDS awareness and prevention in the performer’s honor. Vicky Vocat, spokesperson for the Trust, tells Smithsonian.com that to date, the foundation has donated more than $16 million in his name and funded more than 800 projects in 57 countries in the global battle against HIV and AIDS. A big part of that sum comes from the Trust’s Freddie For A Day initiative, held every year on Mercury’s September 5 birthday. People worldwide are encouraged to cosplay as Mercury and go out fundraising for the HIV/AIDS cause. The results are both hilarious and touching, says Vocat: “Young and old, people have donned a moustache and gone out for drinks, gone to class, gone shopping, taken the train, taken the plane, put on a concert or run a mini-marathon dressed as Freddie,” she says. “Some go the whole hog by wearing full costume for the entire day. Some just decide to support the cause by wearing something yellow or putting on a moustache.” And heads-up, Queenies—2016 is a big deal, Freddie's 70th birthday. The party will be on September 4 at the Casino in Montreux. Details are still in the works, but so far there's a rumor of a black-and-white theme, and if past years are any indication, special guests could include Freddie's personal assistant Peter Freestone and the band's co-producer and senior engineer Justin Shirley-Smith. Located near the original location of Mountain Studios, this restaurant was one of Mercury’s favorites. 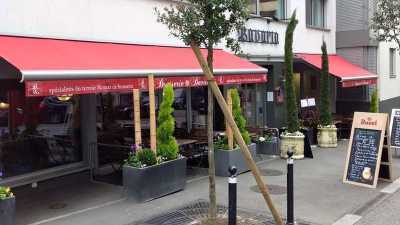 Along with his friends and bandmates, Mercury dined here on traditional German entrees. 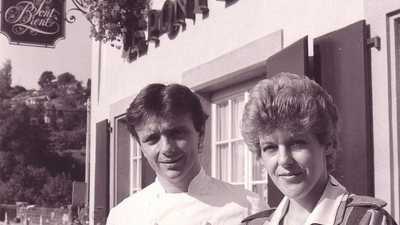 He wasn’t its only famous fan: Brasserie Bavaria has been in business for more than 130 years and has welcomed other celebrity diners like Phil Collins. Le Pont du Brent in the 1980s. Mercury loved the cuisine at this Michelin-starred French restaurant, too. Over the years, it’s been everything from a simple village home at the end of a 100-year-old bridge to an inn, a coffee shop and bistro. These days, chef Stéphane Décotterd focuses on local ingredients in a seasonal rotation. When Mercury frequented this spot at the Montreux Palace Hotel, it was called Harry’s New York Bar. 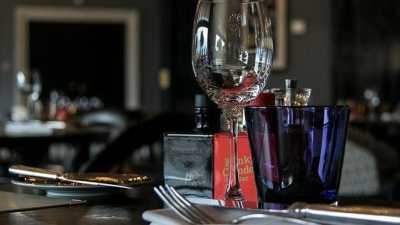 It converted to a jazz lounge in 2014 with much the same atmosphere as when Queen came to relax and have a few drinks. Mercury often stayed in the hotel when in town—so often that one of the penthouse rooms is called The Freddie Mercury Suite. Housed in the original home of the Queen’s Mountain Studios, this exhibit celebrates the band’s most influential years. The space recreates the layout of each room in the studio and includes much of the original equipment. 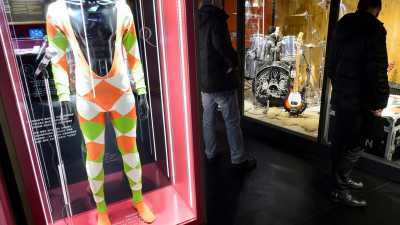 Queen memorabilia on display includes handwritten song lyrics, costumes, studio tape boxes, instruments and the microphone Mercury used to record the last vocal of his career. Dutch fan Marijke Scheerlinck (C) poses with her yellow scarf of 67 meters held by other Freddie Mercury fans near the statue of British singer, during the 11th Freddie Mercury Montreux Memorial Day, in Montreux, Switzerland, 08 September 2013. 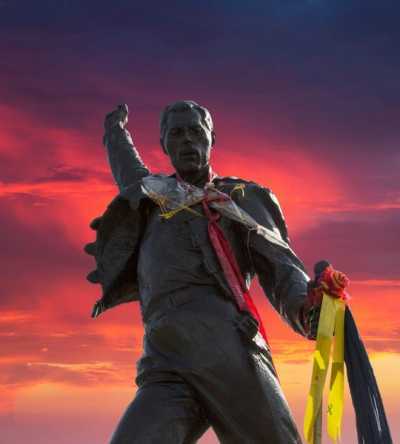 Scheerlinck has manufactured the scarf that is said to be the 'longest scarf for Freddie Mercury in the world' as a representative of the Guinness committee is to confirm. Every year, revelers from around the world come to Montreux to attend the ultimate Mercury-themed party. The festival takes place on September 5 every year to celebrate the musician’s birthday with a blowout celebration and full day of activities. Boat trips to see Mercury’s lake house are available in the morning and early afternoon, and the day culminates in a party at the Casino Barriere Montreux with special guests, speeches, dinner and live music.